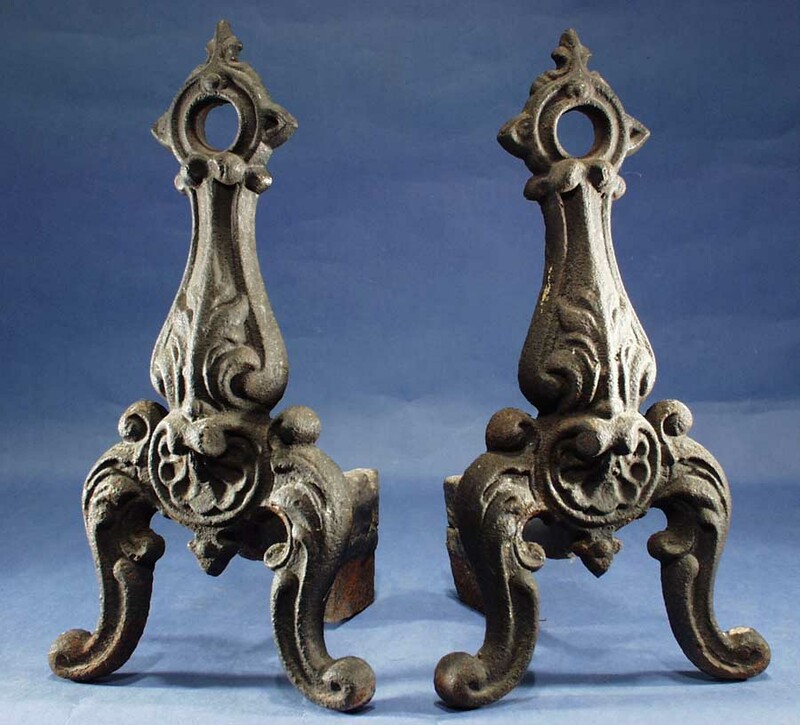 A pair of Rococo American, cast iron fireplace andirons, ca. 1840-1860. The andirons retain an old patina surface and have repair to the rear billets.